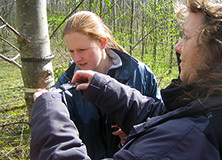 Employees of Microsoft’s Leadership Training Group went to the woods to collect data about climate change and forests. While undertaking this crucial research, the group also gained the knowledge and support they needed to deliver their business goal: to develop a team-wide environmental sustainability action plan to take back to their headquarters in Reading, United Kingdom. Microsoft employees were able to engage with the subject of climate change and explore how to maximize the benefit of a key environmental and business alignment. How did Microsoft get involved? 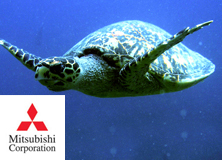 In 2011, Microsoft awarded Earthwatch a technology grant that helped Earthwatch to create a customized database, streamline its intranet, and launch a more robust and user-friendly website. 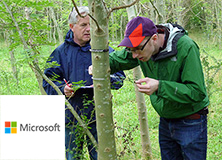 In 2012, Earthwatch delivered two one-day programs for Microsoft, focusing on relevant employee groups within the business. 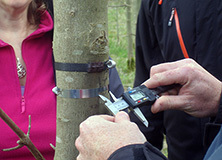 The employees carried out research on the response of forests to climate change and took part in structured workshop sessions and discussions facilitated by Earthwatch. By the end of the day, the participants found they had a clearer understanding of environmental sustainability as a business imperative, and could connect climate change issues to Microsoft’s business activities. What were the aims of the program? 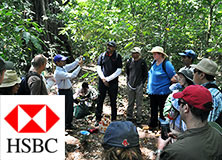 In Paradise Woods, away from the daily grind, with a new group of people and new stimulus, there was an opportunity to take a deep breath, look at their organization from a different angle, feel a new enthusiasm for this topic, make new connections, and start new ways of thinking. Climate Change is the biggest environmental imperative for energy reduction, but it is also a business imperative to control costs and improve efficiency. On this program, Microsoft employees were able to immerse themselves in the subject and explore how to maximize the benefit of this key environmental and business alignment. 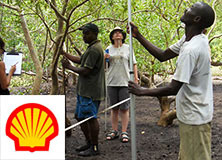 Participating in environmental research on climate change and breaking down energy reduction into specific actions provides a way of understanding complex issues by engaging with them on a manageable scale. 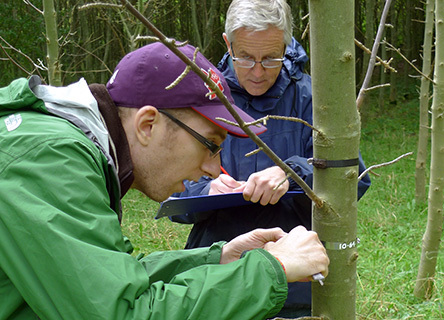 Learning about the carbon cycle from a scientist out in the forest, before measuring trees in order to understand carbon storage, is ideal for illuminating what can seem a complex and intangible concept – climate change. The parallels between this and the business sustainability strategy were clearly drawn out through the program. Both require complex and challenging goals, but by breaking them down into their component parts we were able to help participants find a clear path and motivation to move forward. The effect was that business leaders became “change agents” with a mandate to change business as usual. 100 percent of participants said the day had significantly or very significantly increased their commitment to taking action toward environmental sustainability in their business, and that it had motivated them to include more environmental considerations in their day-to-day decision-making. Climate change is an environmental imperative for energy reduction, as well as to control costs and improve efficiency. Microsoft employees immerse themselves in the research.